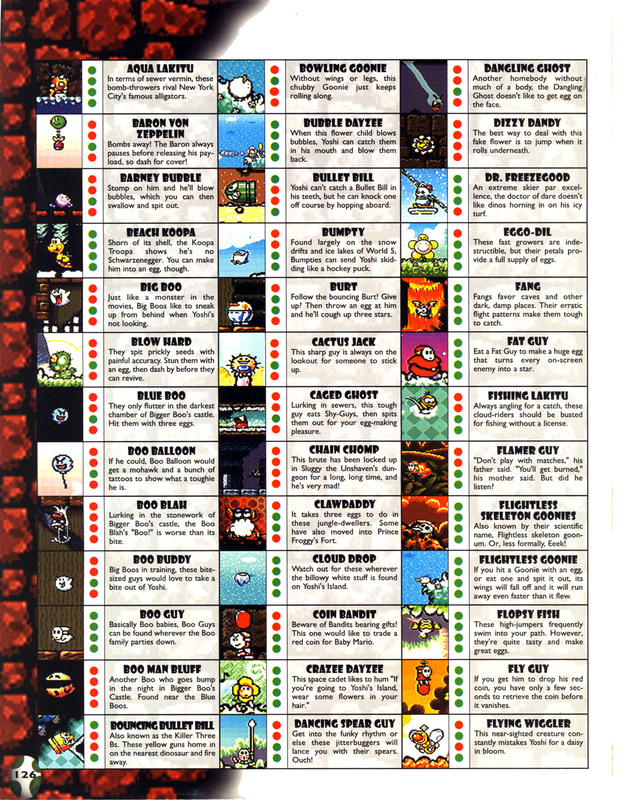 A Blindfold Boo, also known as Blindfolded Boo or Boo Man Bluff, is a species of Boo encountered in Super Mario World 2: Yoshi's Island, its remake, Yoshi's Story, and Super Princess Peach. As their name suggests, these Boos are blindfolded. They were originally depicted with peach-colored shading with a green mouth, but were colored white with a pink mouth in later appearances. Since it cannot see, the Blindfold Boo relies on sound to guide it. When it hears a sound, such as a Yoshi gathering coins, it will home in on the sound. In Super Mario World 2: Yoshi's Island, only one is found in Bigger Boo's Fort. 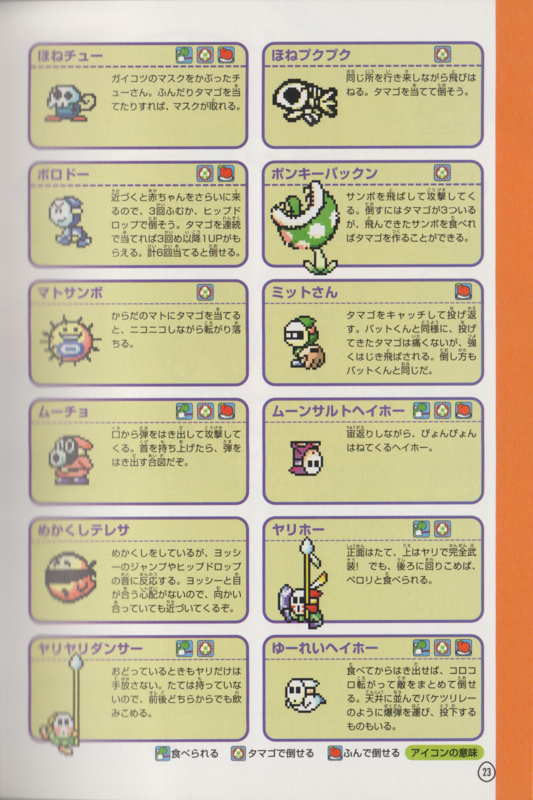 In Yoshi's Story, they were redesigned to have light blue blindfolds rather than black, and appear to have pink ears rather than arms. They only appear in Level 6-3, Ghost Castle, and act just as they do in their first appearance. Like before, they are invulnerable to harm. In Super Princess Peach, their appearance was changed once again to closer resemble their original sprite, but they only come as an advancing swarm wall this time. If Peach is hit by the swarm, she will have to go back to the start of the room she is in. The chase ends when the princess leads them into light, causing them to vanish. They first appear in Shriek Mansion. Fast versions are introduced in Bowser's Villa, and can only be outrun through use of the Gloom vibe. 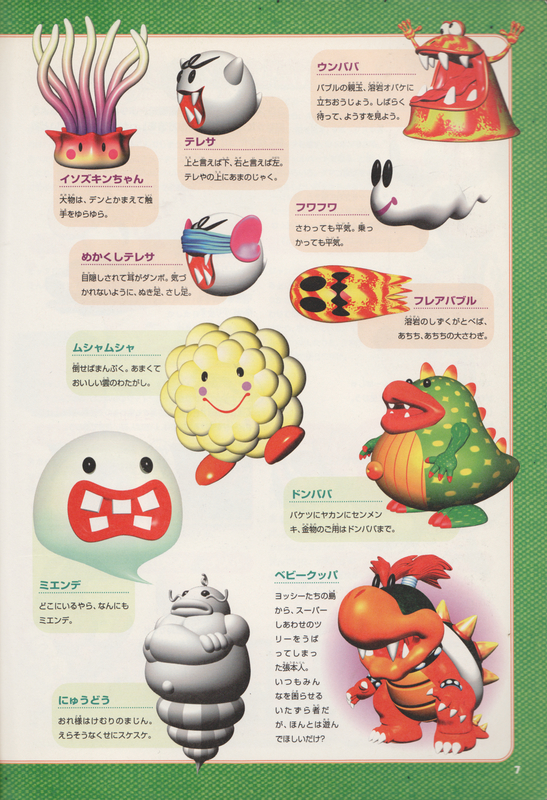 Like Beach Koopas, blue Podoboos, and Security Thwomps, they do not appear in the in-game glossary. Boo Man Bluff is named after the tag-related game, blind man's bluff, which also involves blindfolds. ↑ "Blindfolded Boos: These ghosts are undefeatable and can track you by movement. Walk very slowly and try to avoid their attacks. "- Nintendo 64 Game Secrets, 1999 Edition Prima Official Strategy Guide. Page 110. This page was last edited on March 12, 2019, at 18:23.